Hey, fanboy! Have you been searching to buy iPad in India? If your answer is yes, then, you must read about this iPad model. One of the lightest iPads in the history, the Apple iPad Air first generation is still relevant after years of its launch. 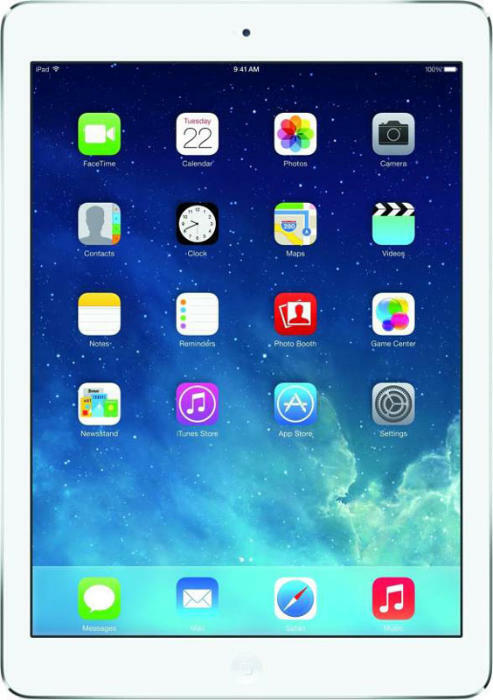 Saw late availability in India, Apple released this iPad Air couple of months after its launch in the United States. Powered by A7 chipset, which is a dual-core processor paired with a 1GB RAM. When it comes to operating system, iOS is upgradable to the latest version. Sporting a 9.7-inches 2048 x 1536 pixel resolution display, which can easily be teased as a display to own. In terms of camera specifications, it has a 5MP rear camera and a 1.2MP front-facing camera. The internal include a 64GB storage, which can’t be expanded. Apple promises a good battery life on their end. Apple iPad Air 64GB WiFi full specs and reviews as of Apr 2019. Buy it here!